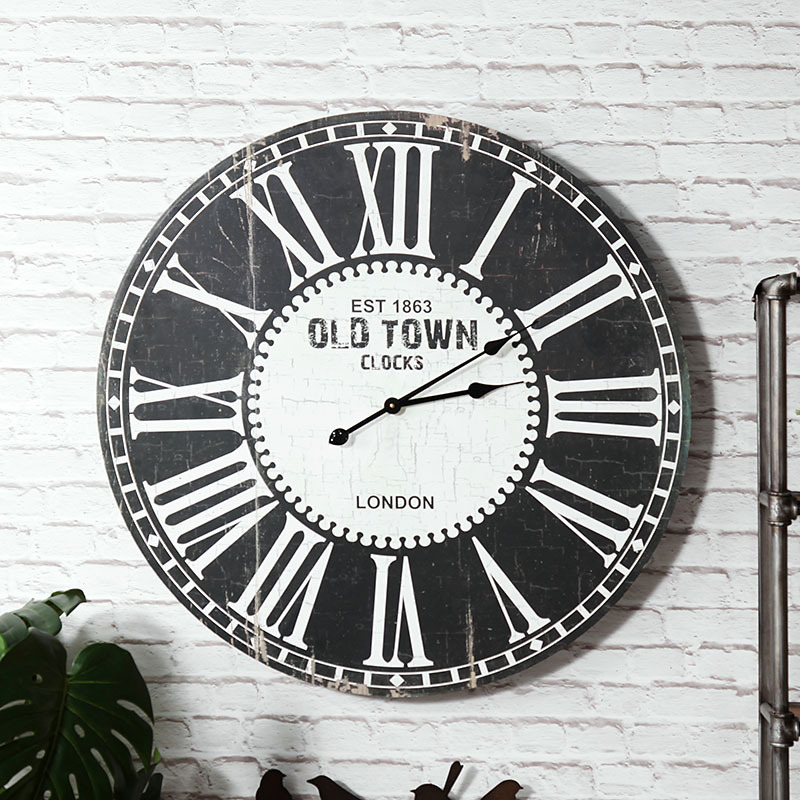 Add some rustic, retro styling to your decor with this large, striking wall clock. 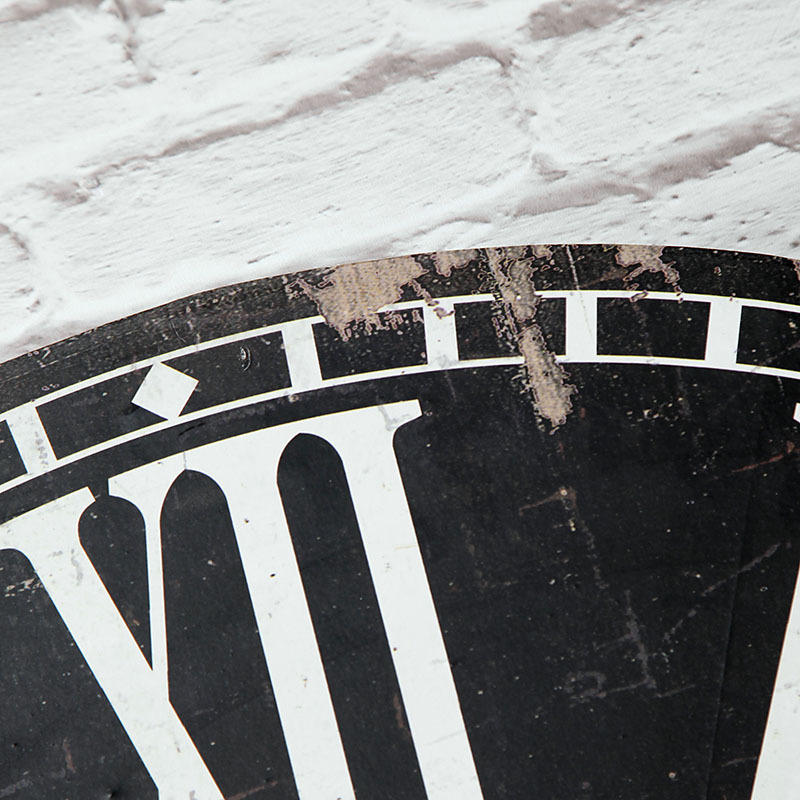 Monochrome design with large white Roman numerals against a black background. 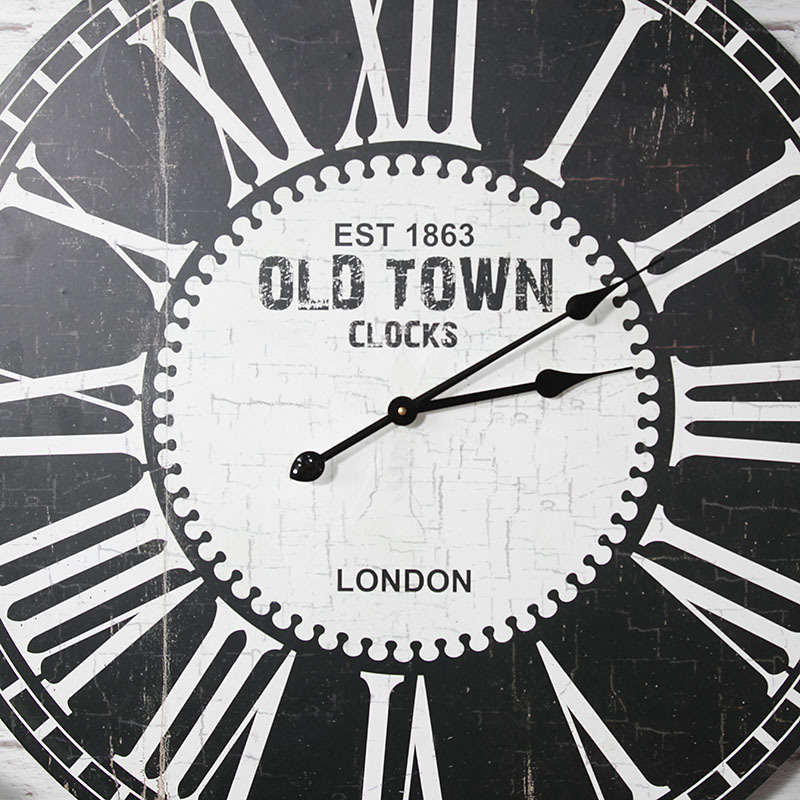 The perfect display piece for the living room or hallway. 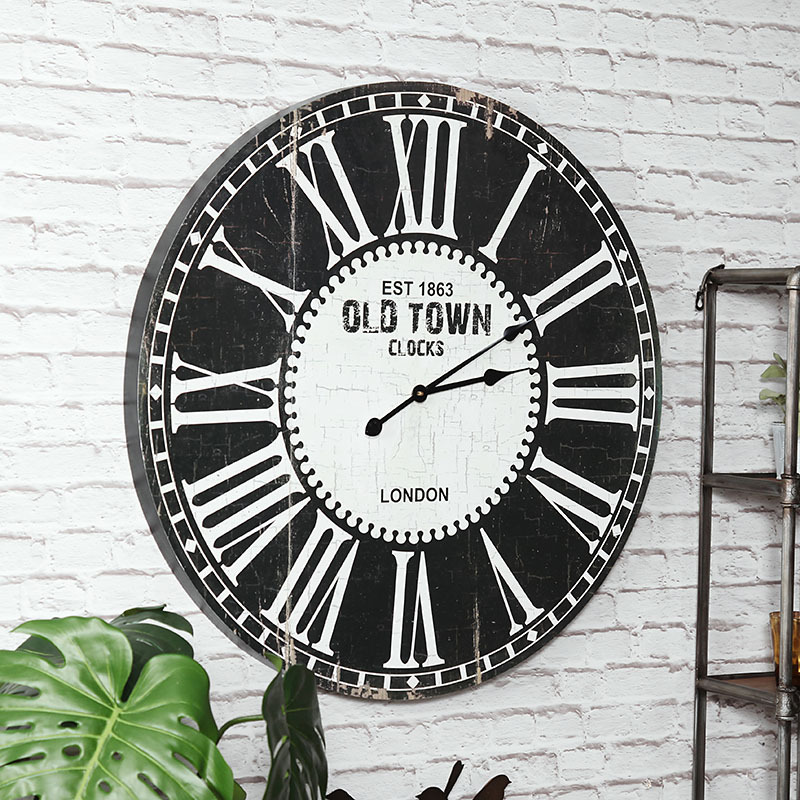 This is a clock that will make sure you're always on time with a large round wooden frame in colours of black and white with large easy to read Roman numeral display. 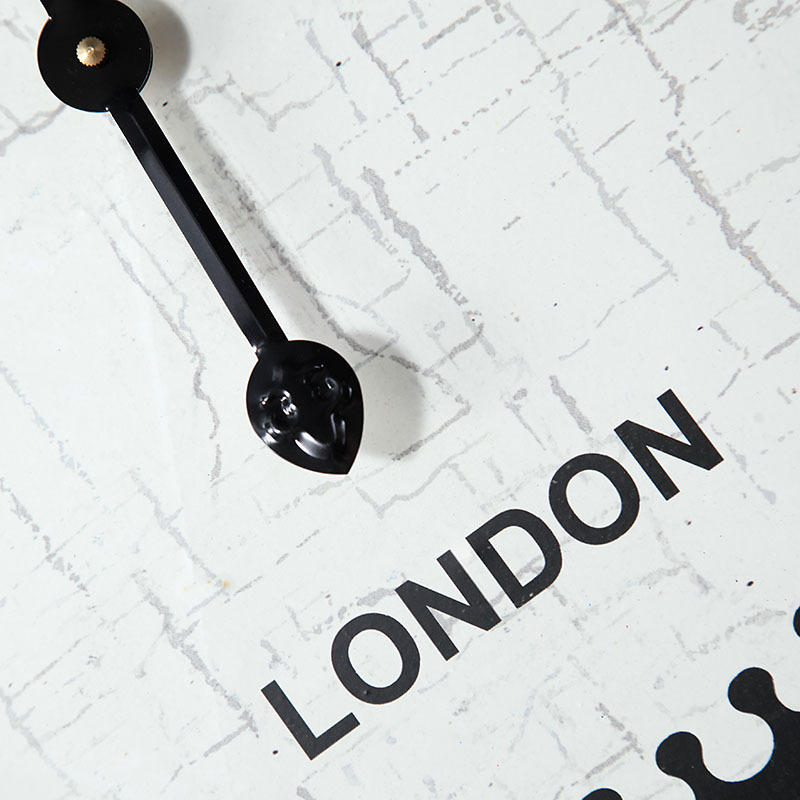 Round wooden frame with printed front in black and white. Takes x1 AA battery (not included). Easily wall mountediwht a hook on the back for hanging.